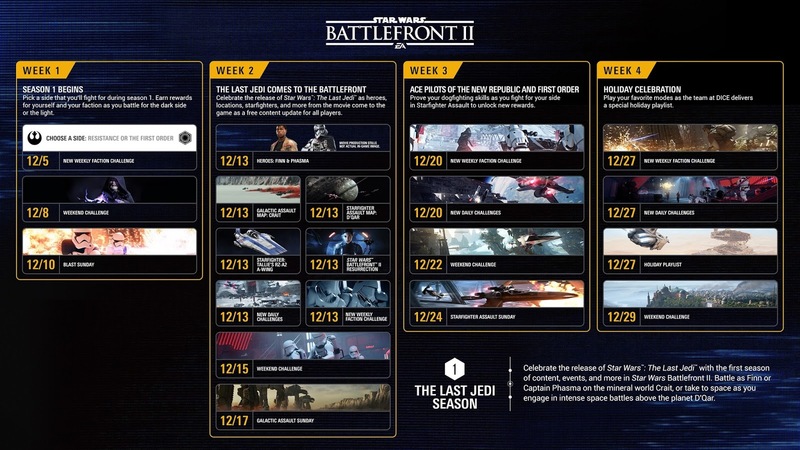 Star Wars Battlefront 2 The Last Jedi Free DLC details. 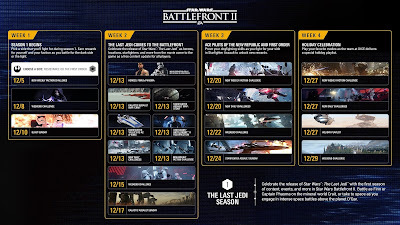 EA and Dice have laid out the details for the December dates to note in your gaming diary all in one handy place. The word free has been overshadowed by the news of real money can help with multiplayer via loot boxes. Shame on EA.